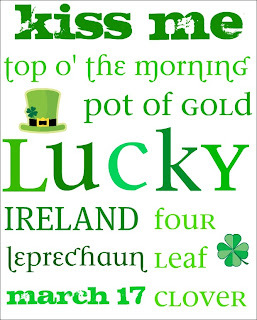 St. Patrick's Day is not a holiday I pay as much notice to now that I am no longer a bar-hopping, green beer swilling youth. This year, my son is just old enough to grasp some of the St. Patty's fun so I've been digging around the internet for some themed crafts. Today, we did our first green-themed craft! Write the word "Lucky" on your piece of cardboard. Then, use your exacto knife to cut out the letters. This is your stencil! Tape your piece of paper over the cardboard. Now, when I did this I couldn't find my masking or painter's tape so I had to use duct tape. I do not advise this! Even though I pressed it on my pants a few times (to make it less sticky) I still couldn't get it off the paper. All that means is I had to leave the tape on the back and cut the excess off. So, it was just an extra (unnecessary) step. Then, give your toddler a brush and the green paint and let them go to town! While you let it dry you can get your stamp ready. I cut a russet potato in half and then carefully cut out a four-leaf clover shape. It didn't take very long at all. Once your "Lucky" picture is dry peel it off the cardboard. Put some green paint on a paper plate and let your child stamp some clovers around their picture. Ta-da! An easy way to start getting ready for St. Patrick's Day! And it's just about time to swap out my winter subway art for my St. Patrick's one! 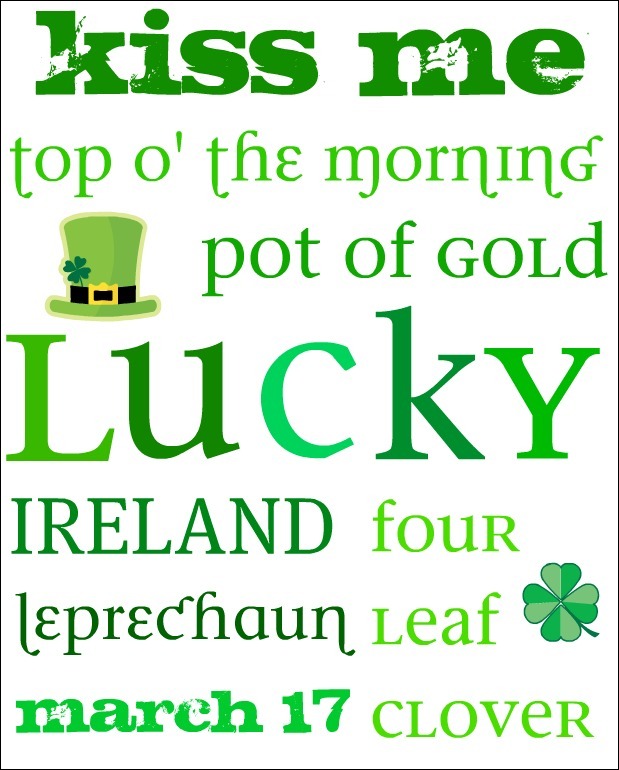 Bonus note: This site has some awesome ideas for St. Patrick's Day! My favourites are to fill your kid's shoes with candy coins and green things the night before St. Patrick's Day; to hide candy coins around the house and have your kids find them; and, to have a scavenger hunt with a pot of gold (candy) at the end; and, topple over some furniture, leave a bit of a mess and make some green footprints (with washable paint ) in your house to make it look like some leprechauns had a party! Such awesome ideas.